Made of break resistant polycarbonate plastic, this Cambro LD130133 beige Camwear 13" ladle helps you maximize profits by controlling portion size. Its 1 oz. bowl serves up the perfect amount of dressing or toppings each time. 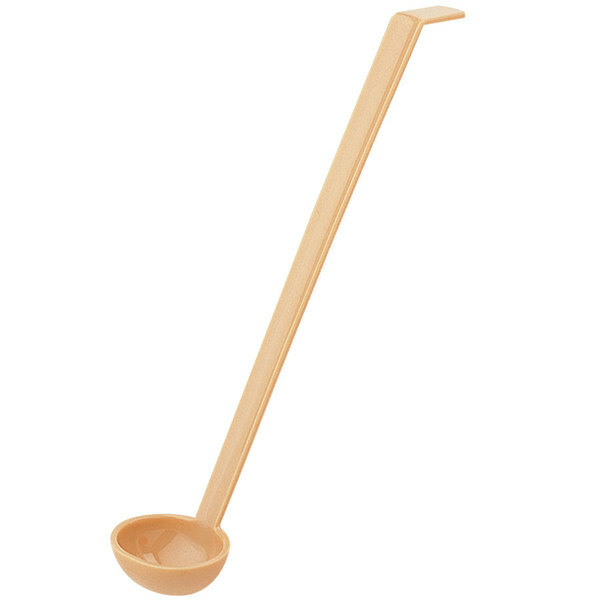 This ladle features an angled design for easier handling, and a side rest, to prevent the ladle from slipping into your crocks or serving bowls. The Cambro 13" Beige Camwear 1 oz. Ladle is well made and durable. It is perfect for serving salad dressing and many other items. It doesn't break if dropped and is dishwasher safe.